February 06, 2019, 9:00 p.m. When asked if they&apos;ve heard anything positive or negative about Pepsi in the past two weeks, US adults gave the brand an average Buzz score of 13.3 throughout the month of January. 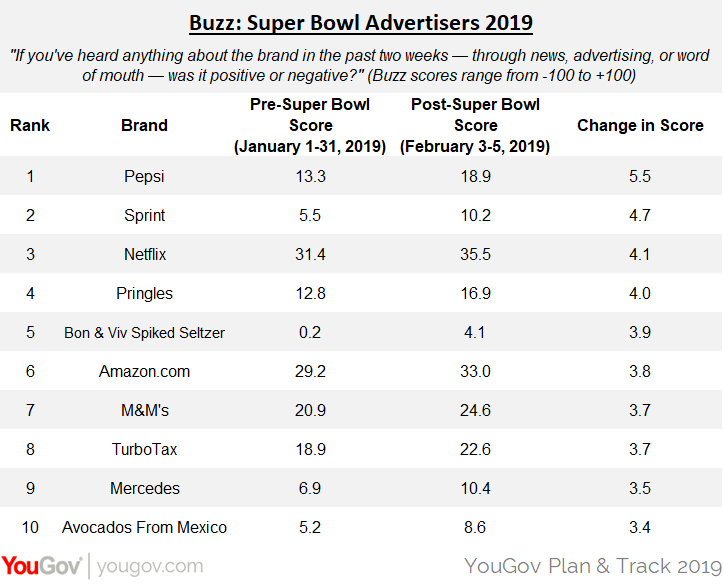 Between Super Bowl Sunday and yesterday, however, Pepsi&apos;s Buzz score climbed 5.5 points to hit 18.9, making it the biggest gainer in this category among dozens of other brands. 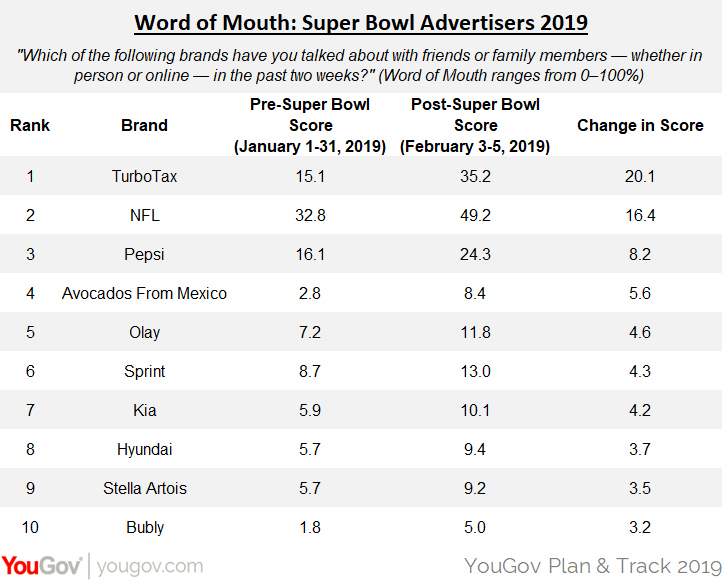 In addition to sponsoring the halftime show, Pepsi ran a commercial featuring celebrities Lil Jon, Steve Carell, and Cardi B.
TurboTax, on the other hand, experienced the largest boost in Word of Mouth — which asks respondents if they recall discussing a certain product or service with friends or family members in the past two weeks. Prior to Sunday, 15.1% of consumers reported talking about TurboTax. 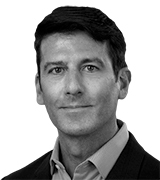 After the tax preparation service launched a TV spot about a life-like robot child that wants to help people get the best possible refund this time of year, the brand&apos;s Word of Mouth metric increased to 35.2%. 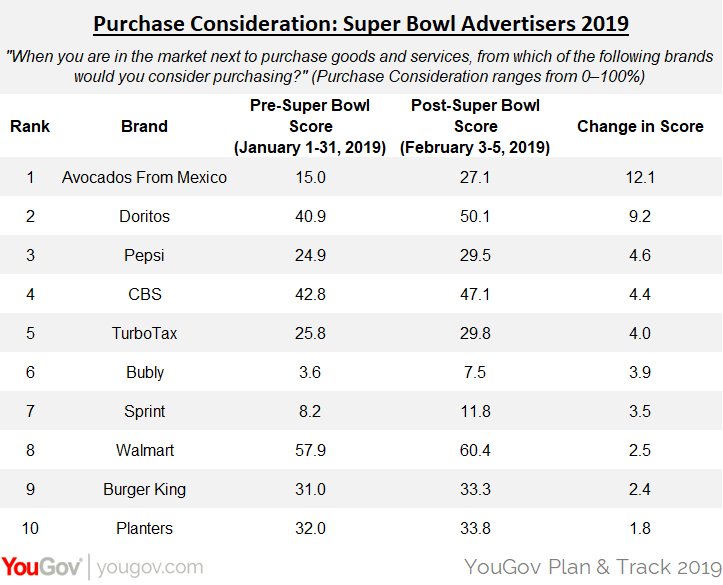 As for YouGov&apos;s Purchase Consideration metric — which gauges how open consumers are to buying, subscribing, or viewing a particular product or service — the biggest gainer was Avocados From Mexico. After airing a commercial centered around a dog show with humans competing for avocados, the number of people considering purchasing from the brand rose from 15% to 27.1%.